Workshop - "How to Understand Just About Anybody!" Name: Workshop - "How to Understand Just About Anybody!" In today’s world we live and work with very different people with different cultures, backgrounds, education, and business experiences. All these differences guarantee misunderstandings and possible conflict. Identifying the difference between a person who is truly difficult and one who has simply misunderstood is an important tool. 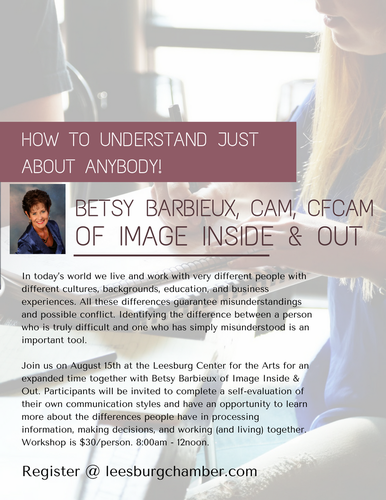 Join us for an expanded time together with Betsy Barbieux of Image Inside & Out. 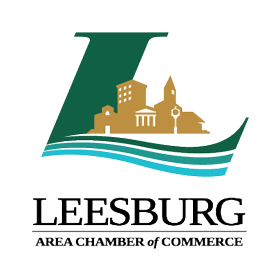 Participants will be invited to complete a self-evaluation of their own communication styles and have an opportunity to learn more about the differences people have in processing information, making decisions, and working (and living) together.